Gravia, a gravity based kinetic energy lamp concept, wowed our panel judges and the crowd at the Greener Gadgets Conference, earning a second place accolade in the design competition. Created by Clay Moulton, Gravia evokes the lines of a classic timepiece in a modern aesthetic and uses human powered kinetic energy to light an ambient LED floorlamp. It’s a fantastic concept – but one that has stirred up some debate across the blogosphere recently in regards to whether or not it is possible to build such a lamp right now with the technology that exists today. Moulton calls the Gravia a conceptual challenge for LED lighting, recognizing the limitations of current LEDs as well as the rapid pace of innovation. The future-forward design is in development phase, based on technology of the not-so-distant future. Drawing conceptually from time keeping pieces of the past, Moulton looks forward with Gravia’s durability estimating that the mechanisms could last 200 years. 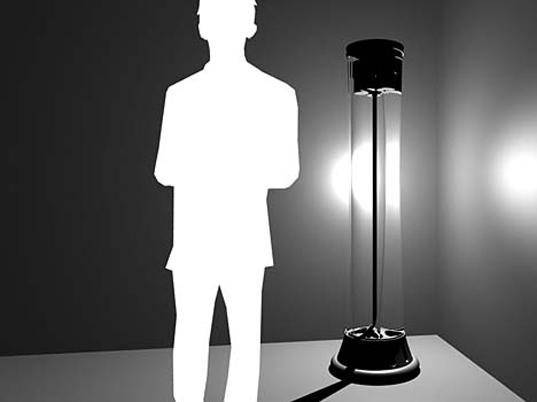 We were surprised over all the commotion on the engineering feasibility of the lamp, since this was a conceptual design competition after all, and we never stated that designs had to be manufacturable or in production. In fact, the whole point of the design competition was to envision the “future of greener gadgets” – to create designs that are inspirational,and challenge us to imagine the future of greener electronics. By definition the future is often not ‘practical’ or manufacturable in the present. We believe that Gravia is an amazing concept with a lot of potential, despite the design’s lack of accurate engineering specifications. How do you lift the weights back up to the top to restart the cycle? If you want to find a black lava lamp feel free to contact us. Visit our stor to find the best deals on home lighting See which lamp will look right in your room. This offers Plasma in a Contemporary way that brings attention and helps you relax. You might think about our high quality yellow lava lamps as a compliment to a black lava lamp. One of our most popular products in this category are black and white lava lamps. These lamps are amazing. We also have quite a few color choices available. Large Lava Lamps can really make a huge impact. Lava lamps have fascinated and mesmerized the public for decades. We have had many motion lamps on sale They are in the same era as disco balls and black lights. Buy lava lamps at an affordable rate and you just might have it for years to come. Light up a dark room today. This page: http://www.plumbubble.com/story.php?id=59447 explains our process in detail. If you want to find a black lava lamp feel free to contact us. Visit our stor to find the best deals on home lighting See which lamp will look right in your room. This offers Plasma in a Contemporary way that brings attention and helps you relax. You might think about our high quality yellow lava lamps as a compliment to a black lava lamp. 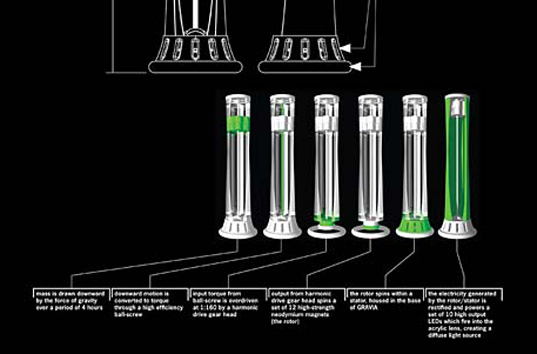 One of our most popular products in this category are black and white lava lamps. These lamps are amazing. We also have quite a few color choices available. Large Lava Lamps can really make a huge impact. CheapLavaLamps.com offers a wide range of lava lamps that are sold in various colors, sizes and styles. While this technology matures for our civilized electified nations, imagine 3rd world environments where idleness is plentiful and physical exertion is common but, electricity is far out of reach. Is it still unrealistic idea to imagine 5 minutes of frisbee replaced by an African village inhabitant for an hour of hauling or weight lifting to generate light all evening...? use the same rocks over and over...skip the electrical grid and all it's unpredictability and expense for a small village....is it still unrealistic? "want to buy 1000 of them if it can work cost effectively!!" ...groan... While I applaud your enthusiasm, it's misplaced here. Think about what you're proposing, and the size & weight of the device components. How is someone supposed to put an eight ton machine in their living room? Why would anyone want to? If you really feel like playing around with this, Dremel makes a small generator that fits on the end of their rotary tools, in order to power a couple small LEDs. It would be trivial to use that device in your own assembly, with your own mechanism driving the power shaft, rather than the rotary tool. ...it's a relatively low-cost way to get started, but even better it's a low-cost way to find out why I'm right, and why devices like the Gravia won't work for any kind of useful light output. Gravia, is not new; there is a light that is powered by moving a weight up and down in side a tube. Does not work very well. Has been around for years. An alternative way to look at it, is that it required a break through in LED technology that would make the LED 1000% efficient. That means that the LED would have to create energy out of nothing, or perhaps have a cold fusion reactor inside. In which case I suggest that the award goes to the inventor of the cold fusion reactor. Of course if we have a cold fusion reactor, this lamp is just a waste of space. Surprised by the "controversy" over the engineering? Why would anyone be surprised? The problems with this are not small -- they're huge. Even if you had one hundred percent efficient light sources (not possible due to those unfortunate laws of thermodynamics) this device wouldn't work as advertised. Tell you what: I have a concept for a piece of paper that knows everything that will ever be known, and can therefore answer any question you write on it. ...now give me my award. It's a great concept, isn't it? Inspirational, isn't it? Who cares that the laws of the universe make it impossible -- give me my award! Really, I demand my reward and attendant publicity. Money would be nice too. My paper idea is just as feasible as this light. Environmentalist-designers should spend less time with Maya, and more time working on solutions that are not forbidden by the fundamental laws of the universe. This kind of crap is why hucksters like Steorn get airtime. Gravia, a gravity based kinetic energy lamp concept, wowed our panel judges and the crowd at the Greener Gadgets Conference, earning a second place accolade in the design competition. Created by Clay Moulton, Gravia evokes the lines of a classic timepiece in a modern aesthetic and uses human powered kinetic energy to light an ambient LED floorlamp. It's a fantastic concept - but one that has stirred up some debate across the blogosphere recently in regards to whether or not it is possible to build such a lamp right now with the technology that exists today.